Ukrainian pianist Lubomyr Melnyk once described to me how Nils Frahm and Peter Broderick – his Erased Tapes label-mates who collaborated closely with the legendary composer on his enchanting album ‘Corollaries’ – have an “inner vision” of the music he was creating. This inner vision and deep musical understanding has formed the cornerstone to Broderick’s sacred songbook (and indeed for Berlin-based composer Frahm) these past few years. This particular conversation with Lubomyr ascended to the forefront of my mind as I witnessed Broderick’s solo concert last November in Cork, Ireland. A fleeting magic and ceaseless wave of transcendence flooded the human space: from the opening a cappella verse of ‘Sideline’ to the achingly beautiful solo piano of ‘Pulling The Rain’. In the heart of the early winter’s night arrived the deeply affecting lament, ‘Rainy Day’ – a song written by Peter’s mother, which she would sing to her beloved children on many occasions – evoking the timeless spirit of Townes Van Zandt and Jackson C Frank that would form a lovely parallel with ‘Pop’s Song’ – an utterly transcendent moment from a previous Broderick live performance – built on a gorgeous guitar melody composed by Peter’s own father. Elsewhere in the set, songs from the new record ‘Colours Of The Night’ ascended into the atmosphere. The album’s glorious and uplifting title-track ‘Colours Of The Night’ (the studio version shares the illuminating spark of Peter’s dub-inspired collaboration with Greg Haines–Greg Gives Peter Space), the timeless folk gem of ‘More And More’ (where the mouth trumpet conjures up the sound of an entire orchestra and sea of sadness), and the striking intimacy of organ-based ballad ‘If I Sinned’ (which undeniably forms one of the album’s defining moments). 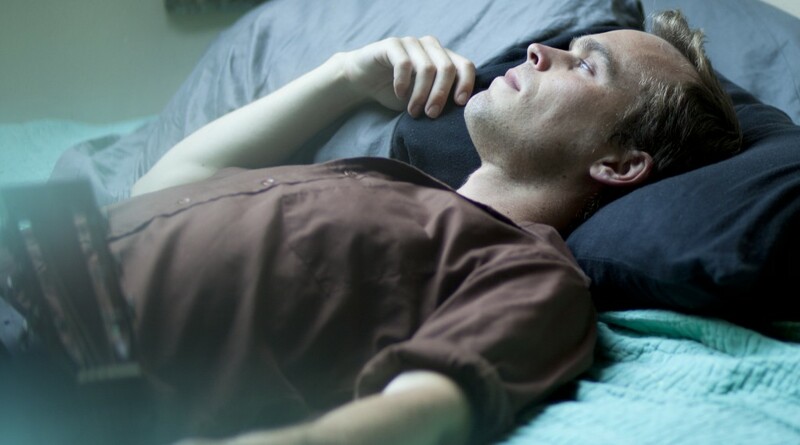 The unique artistry of American composer and multi-instrumentalist Peter Broderick continues to enlighten and inspire on the latest full length, ‘Colours Of The Night’, which was recently released on Bella Union. 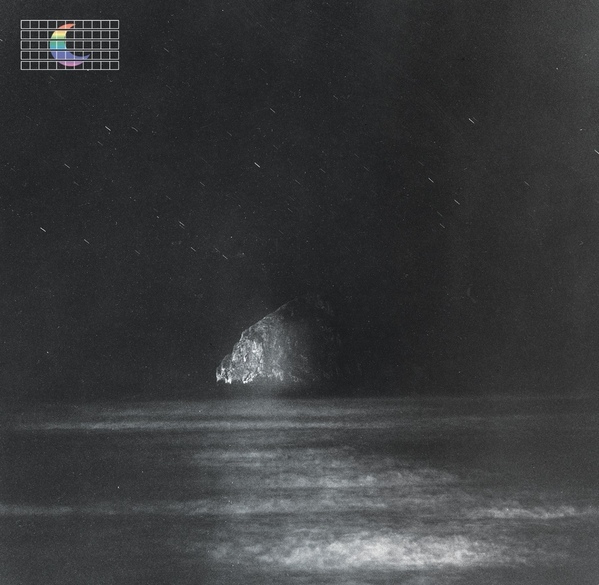 Following on from last year’s sublime ‘(Colours Of The Night) Satellite’ EP – which served as a fitting prelude to the Oregon-native’s eagerly awaited album – the new record is another collection of shape-shifting sonic creations that came to light when invited for a so-called “recording residency” in the small Swiss town of Lucerne. Broderick developed a friendship with some of the locals who eventually got the idea of inviting the American musician to be a guest of the city for three weeks while recording an album with a backing band of local musicians. At the helm of the studio was Timo Keller, a local producer and engineer known primarily for his involvement in the Swiss hip-hop scene. A richly diverse sonic palette of sounds is masterfully crafted: the celestial harmonies of endearing pop gem ‘The Reconnection’; the psychedelic groove of ‘Get On With Your Life’; the wonderfully Afrobeat-tinged ‘One Way’ and towering folk opus ‘Red Earth’ with its warm percussion, scintillating melodies and poetic prose. If ever a lyric epitomised the spirit of an album it would be the revelatory Americana torch-lit ballad ‘Our Best’ with Broderick’s empowering message to “give it your best now”. For Broderick’s music, the personality of the artist ceaselessly shines through. ‘Colours Of The Night’ becomes a source of strength, solace and hope. ‘Colours Of The Night’ is out now on Bella Union. It’s a real pleasure to ask you some questions in relation to the gorgeous new album, ‘Colours of the Night’. Firstly congratulations on creating (yet another) truly shape-shifting and deeply affecting collection of songs. This record is significant in more ways than one, not least the fact that ‘Colours of the Night’ was recorded with a backing band. Can you please take me back to the Swiss town of Lucerne where the recording sessions took place? Introduce please the formidable cast of musicians who contributed so much to your unique songbook? 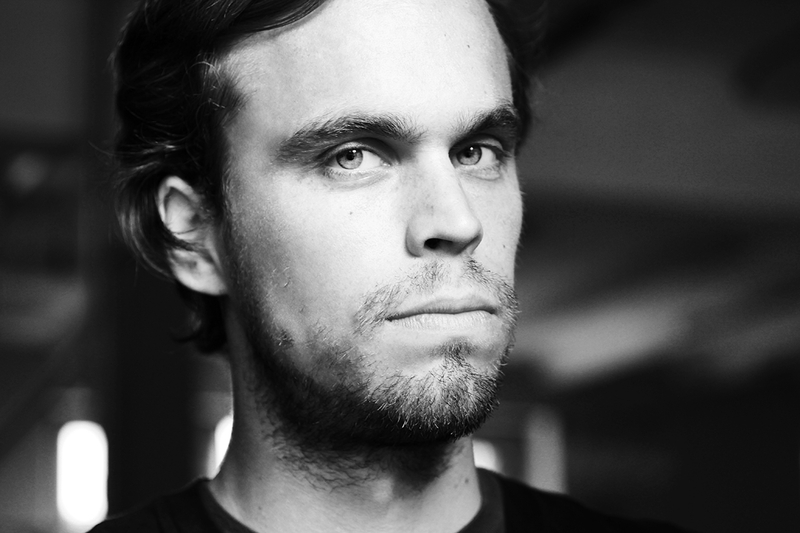 Peter Broderick: Lucerne is a beautiful little city just a little bit southwest of Zurich. I first went there in 2009 while on tour with Nils Frahm, and we had a wonderful evening at a venue called Treibhaus, complete with middle of the night lake swimming after the concert. After that I went back several more times to play there, and slowly established a relationship with some of the locals. One thing led to another, and eventually I got an email from Silvio Zeder (who was a booker at the Treibhaus for a while), inviting me to come to Lucerne and stay for a few weeks. The idea was that he would find a studio and backing band for me to play with, and I would record an album there. I thought this sounding like a fabulous idea, to spend a longer stretch of time in this town I always loved, and make music with a bunch of strangers. So I arrived there in May 2014 having never met any of the musicians and three weeks later I left with a finished album. We did all the recording at Studio Vom Dach, run by Timo Keller, who produced the album and found all the musicians for the band. I had met Timo once before briefly, and I knew we had a good vibe together. The main characters in the band were Nick Furrer on bass, Roland Wäspe on guitar, and Mario Hänni on drums. All of these guys had worked with Timo on different projects at one time or another, but they had never played all together. They also all play in a variety of different bands and projects in Switzerland. And then there are also some guest appearances from several other local musicians. A few different ladies came in to record vocals, and on a few songs there is a horn section consisting of four players who all recorded together live. In huge contrast to recording music alone and being in a sort of insular world – developing ideas and recording them to tape – how was the experience of bringing songs to the table (so to speak) and allowing the songs travel in a direction that is (at times, at least) out of your control? In terms of the recording sessions, I would love for you to discuss the routine of these particular sessions and any particularly memorable moments that occurred (that in turn found its way on the final album)? PB: I arrived in Lucerne feeling very open about the whole project. I was curious about the process of sending these songs of mine through the filter of these other people. My goal was to let everyone involved be as free as possible. I didn’t want to be too controlling. And once I heard the musicians play, it was really easy to trust them all. They’re all such great players. And since I’d never tried working with a band like that before, I was in awe of how it felt to have all these other people playing along on my songs. That said, there were definitely moments when I wanted to hear something specific and had to give a little direction, but I really tried to do it in a suggestive manner rather than saying it had to be a certain way. For most of the songs I simply started playing my guitar parts and singing and the guys would just start playing along. I remember when I played them the song ‘Colours Of The Night’, and Mario immediately jumped in with this shuffling African-style rhythm, and I just yelled out, “Yes!! !” What he did immediately changed the way I heard the song, in a really awesome way. I had to adapt the way I played the guitar part in order to fit his rhythm, and I found the whole process super exciting. For the most part we recorded all the basic tracks (drums, guitars and bass) live, playing all together, and on the last song, “More And More” we actually did the whole thing live, with the horns and everything. I must ask you about the producer and engineer, Timo Keller who was at the helm for the ‘Colours of the Night’ sessions. This experience must have been very rewarding. Were there certain techniques or processes utilized by Timo that struck you? Looking over the album’s ten songs, I wonder did some songs undergo significant changes from the original sketches you first brought to the studio? PB: I’ve been in countless different studios and worked with a lot of different engineers and producers, and it really is fascinating to witness all the different approaches. When Timo set me up to record vocals, he put a microphone in front of me and said, “Christina Aguilera sings into this same mic.” Haha! I wasn’t sure how to feel about that. But I really came to admire his production style. Certainly different from my own or someone like Nils Frahm who I worked with on my last album. Timo has spent most of his studio time working on hip-hop, so he spends a lot of time finessing drum sounds and likes things to sound really crisp and tight. There are a couple of songs on the album which Timo changed completely, most notably “On Time“, which began as a shuffling guitar-based song, and evolved into this strange cinematic synthy thing. One day Timo just completely changed the structure of it before I got to the studio. I was never quite sure how I felt about his version of the song, and actually the bass player thought the song had been ruined, but in my effort of giving up control and letting the songs turn into something else, I trusted Timo and went with his version. The album’s title-track, ‘Colours of the Night’ is an old song, I recall you mentioning in the past. I love the various versions of this song, for example Greg Haines’ dub remix and indeed your own solo version in the recent past. Can you reminisce for me please your memories of writing this song and how it developed over the passing seasons and subsequent years? The final version is a truly uplifting and powerful tour-de-force, which really embodies the entire album. PB: Indeed, that song has been around for a while, and perhaps that’s why I found it so refreshing when it changed so much during the recording process in Lucerne. I like to think of songs as entities that are alive, which grow and mutate through time and place. And this song in particular is one that never got old to me. I always enjoyed playing it, and I think that’s a really good sign. As for the writing of it, it’s all kind of jumble in my mind. It was kind of pieced together over time, so I can’t quite remember how and when some of the lyrics came about. The main guitar part is really old. I wrote that when I was 17 or 18. But at that time it was a completely different song with different words and vocal melodies. I always loved that guitar part though, and I was happy to be able to recycle it into a different song that I enjoy performing. Being back home in America and your hometown of Oregon, it must be a lovely feeling to finally return to your roots. I feel themes such as perseverance through difficult times where an inner flame radiates throughout with this strength to overcome and indeed, to get on with your life. I would love for you to discuss the importance of home and indeed the invaluable meaning and significance the eternal gift of music gives you, Peter? PB: Moving back to Oregon was so necessary for me. When I first moved to Europe in 2007, I thought I would never return to the states, but over time I really started to feel something was wrong, and it took me a long time to admit to myself that maybe I needed to go home for a while. And being back home hasn’t been all sunshine . . . there have been some difficult things I’ve had to face . . . but I really needed to face those things so that I could start to feel that real sense of home again. I really cherish my community of friends and family in Oregon, and I love being able to speak my mother-tongue freely and talk with strangers. It’s amazing how much more often I meet new people since I’ve moved back here. As for the gift of music . . . I honestly don’t know what I would do without music. That’s impossible to imagine. Yet at the same time, I’ve worked on broadening my interests over the last years. There are other great things in life too! Like making fires and cooking, walking around in nature, letting your inner child come out and being in awe of everything around you. I feel ‘Red Earth’ is one of the most stunningly beautiful songs you have recorded to tape. The heavenly harmonies, poetic prose, rich instrumentation, and sheer emotional depth leaves you dumbfounded. Please talk me through the construction of ‘Red Earth’ please, and it’s meaning for you? I feel it’s the fitting prologue to ‘Colours of the Night’’s striking narrative. PB: I’m so happy you like that song! That was one of the last songs we recorded, and it was the only song that I wrote while I was there in Switzerland. I spent several nights up at an old farmhouse called Rotebode (which translates to ‘red earth’ or ‘red ground’) about 30 minutes outside of Lucerne, and that song was written there. The first sound you hear on the album is the sound of the creek that runs outside of that farmhouse, which I was hearing as I wrote the song. One of guys who lives up there is a painter, and the second time I stayed there he gave me a painting he made with a character looking out over a landscape, seemingly about to take flight. I asked him if the character was a dragon, and he said, “Yeah, or a bird, or a man, or something…” So that’s how those first lines of the song came about. (Got a picture of a dragon bird man / Guess it was waiting for me.) I know Timo was especially happy with that song too. From a production standpoint, that song encapsulates a lot of what he was aiming for with this project. As ever, a myriad of ideas is effortlessly embedded in the music. I love the wide range of compelling sounds: recalling the vocal experiments of ‘These Walls Of Mine’, the endearing warmth of ‘Home’, the dub-infused grooves of Greg Gives Peter Space and beyond. What lies next in the musical narrative, Peter? Please shed some light on any forthcoming projects and plans. PB: Well, I do plan to play some concerts this year in support of the album. Mostly in Europe, but also a few in America and maybe also Asia later in the year. These days I am primarily busy running a little studio called The Sparkle out of my home in a tiny little town on the Oregon coast. There will be a lot of records coming out this year which were produced here, including a new album by my sister, Heather Woods Broderick, an album by one of my new favourite musicians named David Allred, a collaboration between myself and one of my most beloved artists in the world, Félicia Atkinson. Our project together is called La Nuit and I’m incredibly excited about that! Other artists with albums that I recently worked on which will be out relatively soon include Chantal Acda, Corrina Repp, Shelley Short, Maymay, and a 7″ by Rauelsson. Another thing I’d like to mention is that I recently started a choir in Portland. We rehearse on Sunday mornings, and it’s very loose. We do a lot of improvisation and also try to write songs all together. We are slowly collecting recordings with the aim of releasing and album one day. That’s been a really invigorating project. I generally only work with people I get a good feeling from on a personal level. I’m less concerned about what kind of music we’ll be making and more concerned about whether we’ll have a good time together. It’s truly rewarding to work on music with a vast array of different musicians. Everyone has a different approach, and I always learn something new from each different artist.